mobile is not the future, it is the now. And only a mobile Application Development company in Surat will be able to help you improvising your now. Meet your customers in the environment of their choice; not where it’s convenient for you. mobile application is a type of application software designed to run on a mobile device, such as a smartphone or tablet computer. 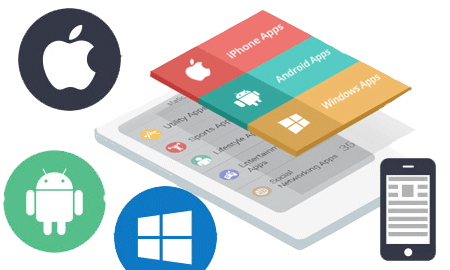 It frequently serve to provide users with similar services to those accessed on PCs.Custom mobile apps can be partially or fully personalized to suit your business needs. These apps are altered to address a particular audience rather than providing a solution which caters to a large group with varying requirements. It helps businesses stay competitive and increase productivity.The most popular advantages of custom mobile app development for businesses are.